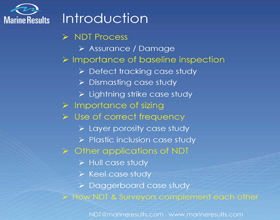 Marine Results offers design, installation, tuning, maintenance, survey and ropework. The turnkey service that our team offers includes logistic management and the ability to rapidly set up a comprehensive dockside facility anywhere in the world. This enables us to carry out a project within a tight timescale. 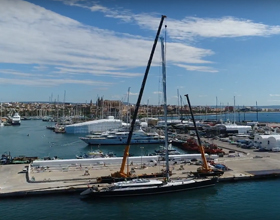 Our personnel have been involved in the management and build of numerous sailing yacht spar packages and hydraulic systems and we have unstepped, inspected, repaired and supplied equipment, and restepped some of the world’s tallest rigs. Our state of the art testing centre uses equipment developed in the aerospace industry putting Marine Results in the forefront of component testing for every aspect of rig, hull and structure. We offer NDT (non-destructive testing) including dye penetrant testing and ultrasonics which detect internal flaws and cracks not visible to the naked eye. Our destructive testing machine evaluates breaking loads on running rigging and components enabling us to specify and meet safe working loads in the equipment that we supply. The rigs of the world's largest performance and luxury yachts are serviced by Marine Results, from initial consultancy through to inspection, recommendation, product supply, rig re-stepping and tuning. Our projects gallery shows recent projects undertaken by Marine Results, including the world's largest sailing sloop 'm5' (formerly' Mirabella V'), and 'Salute' which has the world's tallest aluminium mast. 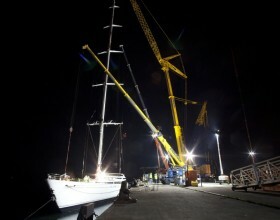 We've worked on the world's most advanced rigs, both on high profile racing yachts and luxury cruising yachts.